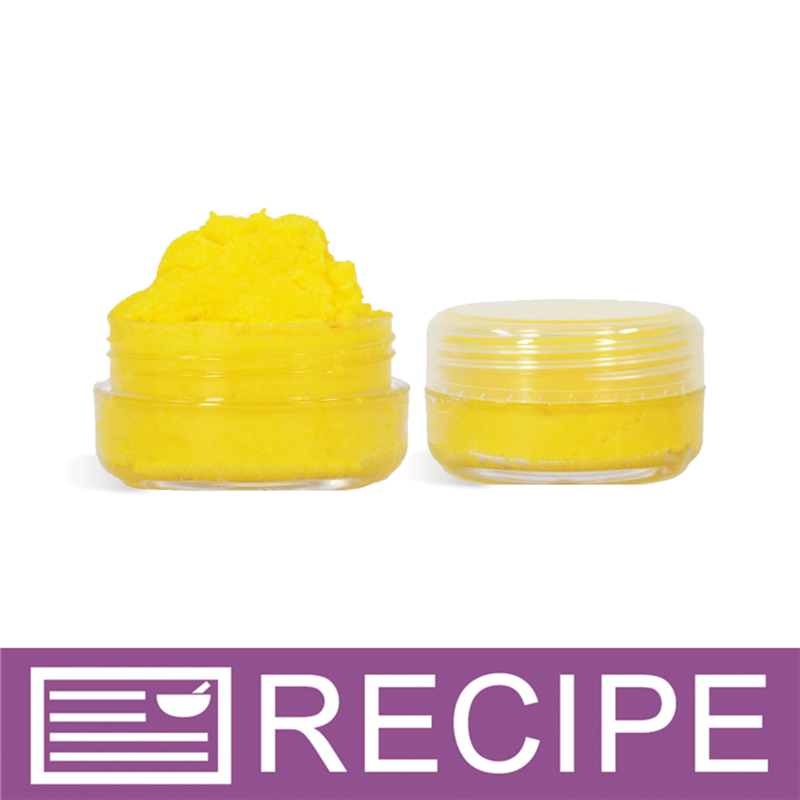 This lip scrub gets its bright color and fresh-squeezed taste from Tangerine Butter. This is a simple recipe, using only four ingredients! It’s perfect for exfoliating dry and chapped winter lips. 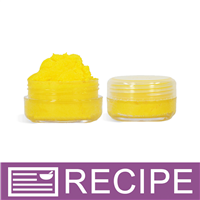 INCI Ingredient Label: Sucrose, Sweet Almond Oil, Tangerine Peel Oil, Hydrogenated Vegetable Oil, Castor Oil, Vitamin E.
Melt tangerine butter and castor oil together in microwave. Stir and allow to cool to 100ºF or cooler. (If the oil is too hot, the sugar can melt when combined). Fill fifteen jars to 0.50 oz. by weight. Twist lids on jars. Label accordingly. To Use: Gently rub over lips to help remove dead skin. Rinse off with warm water. "Can you use an Absolute Oil like Jasmine Absolute in a lip product?? I know you guys haven't done it but I need to know." Staff Answer At this time, we do not carry absolutes so we cannot be sure if they are lip safe products. You would need to check with the company you purchased it from.